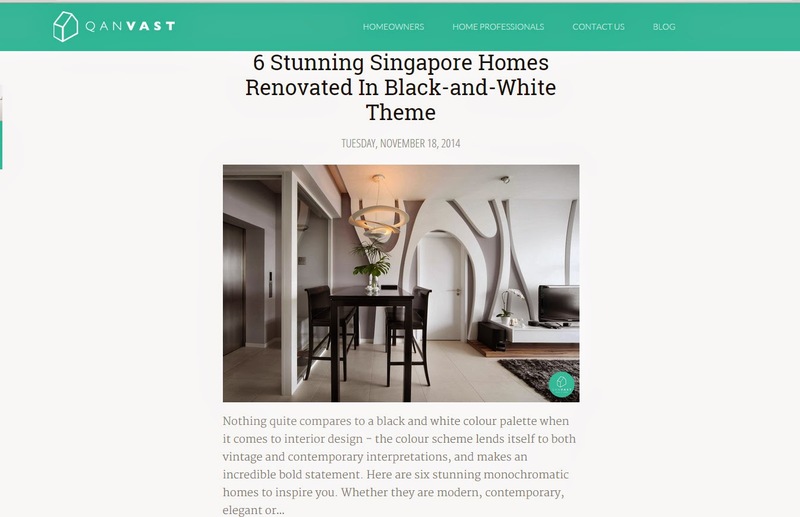 Home Renovation Inspiration Sites for Homeowners Series - Qanvast - Make It Home. Homeowners have one more reason to rejoice; there is one more resource for you to browse through hundreds and thousands of of mouth-watering droolicious inspiring home interior designs from home renovation professionals. Furthermore, you can also gather all your favorites designs in your very own mood board. And you are able to engage the home renovation professionals who have done the particular project which you have favorited a thousand times in your mood board easily. What's more you get to read reviews of the work done by home professionals and be connected with the rest of the homeowners in the virtual community! Hence *drumroll* let me introduce Qanvast, a virtual platform for homeowners and trusted home professionals to connect and collaborate in the cyberspace! One thing that this site stands out from the others is its clean cut minimal design, with large clear photos to boot. Its fluid design means that its site is responsive to different mobile devices; from my tinny winne obselete Samsung smartphone, to the slightly bigger Sony Ultra phablet and my all time favorite iPad! + Estimated cost of the renovation is provided! In addition, there is no lengthy paragraph to read through; in fact the descriptions are succinct and to the point. Nonetheless, the best part is that Qanvast is one of the very few sites that completely nailed it! Yes! It attaches an estimated cost of the renovation along with its featured projects! + What does the cost of the renovation entail? + Does the scope of the renovation cost cover little bits like the furnishing and lighting points? + What is the man-month effort for the renovation? Nonetheless, it is still a very useful site lar. As my mum always say....mai hiam lar. And yes! We know that piece of information on what goes behind the renovation is important to homeowners, and we are already in the midst of obtaining these from our interior designers. The information will be made available in the next month or so. In the meantime, do stay tuned to Qanvast as we will be rolling out more updates that will further simplify the renovation research for homeowners.